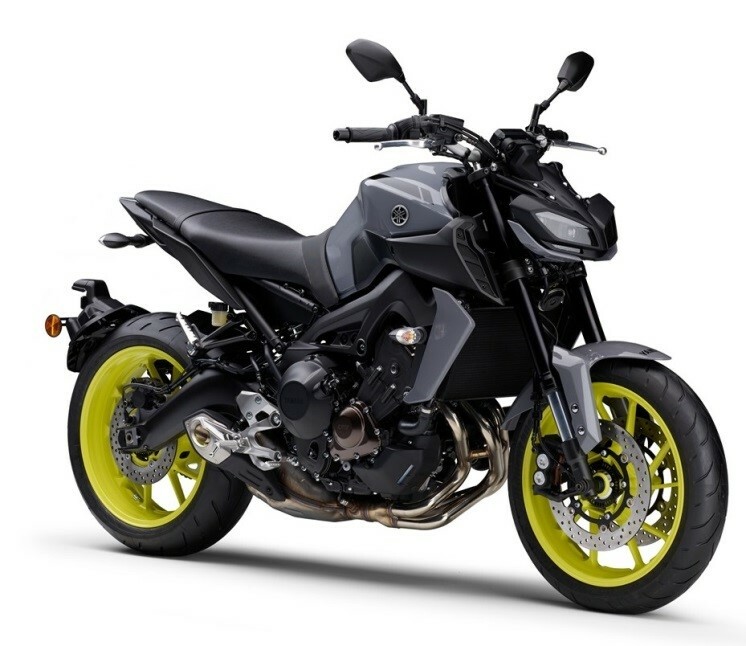 Yamaha Motor Updates MT-09　— New 2017 Model for Europe to be Exhibited at "INTORMOT 2016" — - News Releases | Yamaha Motor Co., Ltd.
IWATA, October 6, 2016—Yamaha Motor Co., Ltd. (Tokyo: 7272) announced today that the MT-09 motorcycle model, popular for its style which fuses different elements from the naked and supermotard concepts, as well as delivering superior handling, will receive a minor update for launch in Europe from late December 2016. The updated model also has been showcased at the “INTERMOT 2016 International Motorcycle, Scooter and E-Bike Fair, held from October 5, 2016 (press day on October 4) in Cologne, Germany. Launched in 2013, the MT-09 is sold in many countries around the world, particularly in Europe. Made up of the MT-10, MT-07, MT-03, MT-25, and the MT-125 as well as the MT-09, the MT series encapsulates the concept of a “new roadster which delivers intuitive riding through “Torque x Agile, and has become popular with a wide range of customers. The new MT-09 was developed based on the “Multi performance Neo roadster concept, and aims for further maturing of the current model. It features the new adoption of 1) a front mask with compact four-globe LED headlights and a large air scoop, 2) a movable rear fender with a single-arm forged aluminum stay, 3) an A&S (Assist & Slipper) clutch which lessens vehicle movement during downshifting, and 4) a QSS (Quick Shift System) which supports smooth upshifting. Yamaha Motor has been actively taking initiatives to expand variations based on basic platforms in our motorcycle business. The 3-cylinder engine and aluminum frame employed in the MT-09 are core components in products for developed markets, being utilized in such models as the MT-09 TRACER launched in 2015, and also the XSR900 launched earlier this year. * Indicative retail price in Europe: an indicative price calculated by Yamaha Motor; actual retail price may differ due to varying tax rates and other factors in European countries.